Check out all the photos and video below of this obstacle course for children! 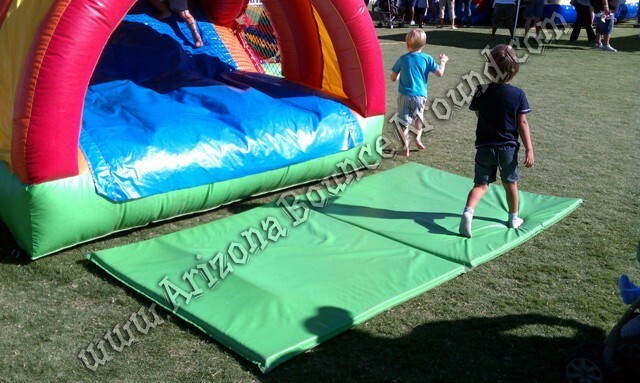 Get ready for the fun with this exciting inflatable obstacle course rental designed just for small kids from Arizona Bounce Around. This kid’s obstacle course features easy to climb steps, 2 slides, small bounce house area with obstacles inside and a Rock Climb to the top to the top of the second slide. Most obstacle courses available for rent are too big for the little kids. This Caterpillar obstacle course will be a big hit at your next party and features a space saving design making staffing and supervision easier. 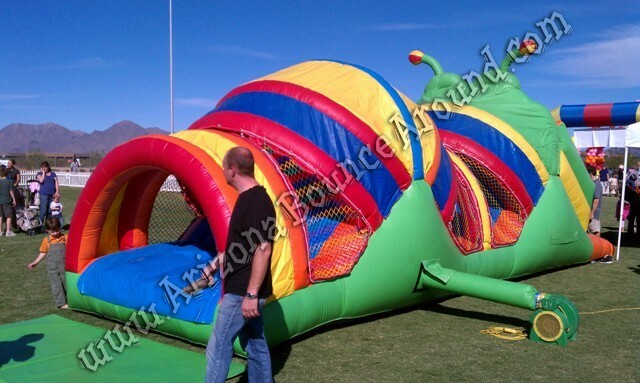 Perfect for kids birthday parties in Phoenix or Scottsdale. 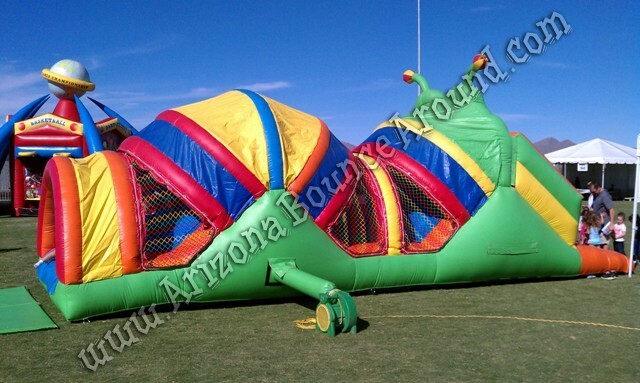 The kids will love going thru the mouth this inflatable caterpillar obstacle course, bouncing in the play area, up the rock climb and down the second slide. We also provide a protective covered foam pad at the exit for added safety. We are your carnival game rental superstore serving all of Arizona with games and activities for kids and family events. This kids obstacle course rental price includes standard set up. Standard setup is considered a real grass area that we can stake into the ground. Be within 80 feet of sufficient electrical supply. Delivery and removal within included delivery area with no restrictions for delivery, set up or pickup. 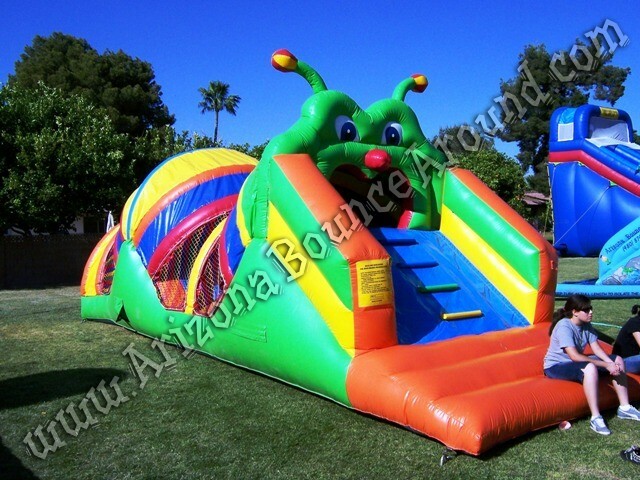 We do not install this inflatable obstacle course on dirt or sand but it can be setup on asphalt, concrete or artificial grass by adding sand bags to your order.